Mary L. Hamilton grew up at a youth camp in southern Wisconsin, much like the setting for her Rustic Knoll Bible Camp series. While raising her own three children, she was active in her church’s youth ministry, including serving as a camp counselor for a week. She decided once was enough. 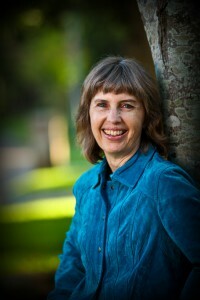 Mary is a graduate of Long Ridge Writer’s Group and a member of ACFW. 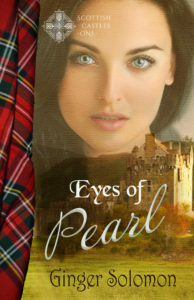 Her writing has won recognition in several contests including the Genesis and Selah contests. When not writing, Mary enjoys knitting, reading and watching sunsets. She and her husband make their home in Texas with a rescued Golden Retriever. This Is Your Life was a popular 1950’s television show where selected guests unexpectedly found themselves in the spotlight. Sometimes the guest was a celebrity, but often was just an ordinary citizen known for making a contribution to their community. The show’s host would read a summary of the guest’s biography and bring on family members, friends, and co-workers to add their commentary to the person’s life story. Though our life story may not be broadcast to the world, we each have a book that lists the days of our life. It wasn’t researched or penned by a television host, but rather written by a God who knows us intimately, who needs no further commentary from other sources. From the very beginning, He saw our unformed substance. He wove each of us together within our mother’s womb. Whether we sit or rise, go out or come in, He sees us. All the thoughts crowding our mind are known to Him, and He knows every word that rolls off our tongue before it is even uttered. Verse 16 says He recorded all the days appointed for us before the first one dawned. For some, that might feel a bit uncomfortable. But to me, that speaks of the depth of God’s love for me. He alone sees the innermost part of me–the part no one else knows about–and still He loves me enough to be thoroughly interested in everything I think, do and say. He planned me to be exactly who I am, and recorded all my days in a book long before I was the proverbial twinkle in my daddy’s eye. In See No Evil, blind teenager Steven Miller guards a dark secret about a moment of weakness that may have contributed to his father’s death three years earlier. At summer camp, he hears the message of Psalm 139 and wonders if God made a mistake weaving him together without eyesight. Or worse, had God planned long ago that his moment of weakness would keep him from saving Dad’s life? Are we mere puppets, robots programmed to do whatever God decides beforehand? On the contrary, God knows us so intimately He knows the choices we’ll make. He knows the temptations we’ll encounter—the ones we’ll overcome, as well as the sins we give in to. He knows it before any of it happens, which means He knew long ago our desperate need for forgiveness, for the Savior He provided. No condemnation. Just salvation from a God who loves us to the very core of our being. Ginger here. 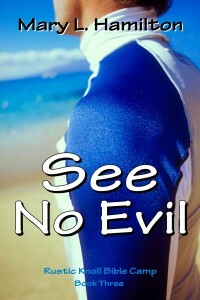 I haven’t had the opportunity to read See No Evil yet, but I did read Mary’s first two books in this series. I highly recommend them. Even my twelve-year-old son who doesn’t care for reading loved them and wanted to know when Steven’s story would be coming out. That speaks for itself about how good Mary’s storytelling ability is. Beautifully written! Made me stop and realize (again) how much my Savior loves me. Thank you, Mary, for your inspiring words to start off my morning. Psalm 139 has always been a favorite of mine. It helps knowing God can make sense of my life and yet at times, it seems like I’m on the wrong page. It’s my favorite Psalm, too, Terri.